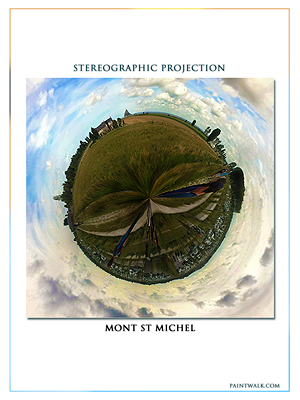 ‘Little planets’, are images that are created out of 360 degree panoramic photos, and then mapping this flat plane onto a spherical one. It is a visual effect of standing in one place and being able to see all the world around you at once. 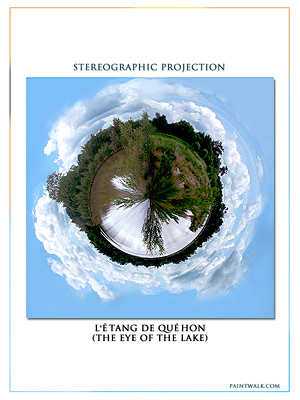 You can imagine it as a way of picturing a sphere as a plane. 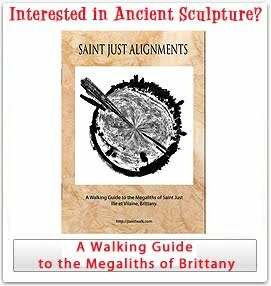 It has practical uses in, Geology, and Cartography. 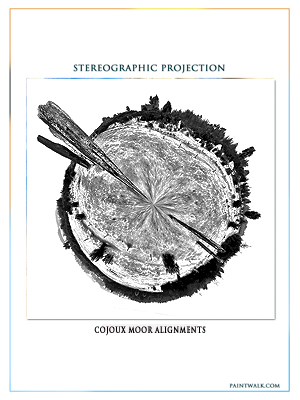 The process is known as Stereographic Projection. Roundscape Menhir de Champ Dolent, Brittany, the tallest Standing stone in France. 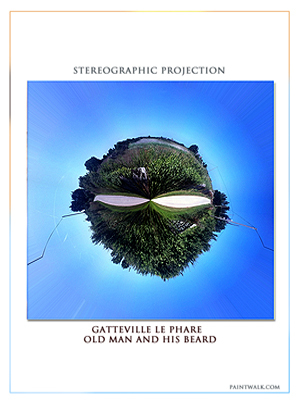 Roundscape An Old man and his Beard. Part of a walk on the beautiful North Normandy coastline. Round Scape of Mont St Michel. Roundscape of Mont St Michel. Yes it's there on the horizon. This is a landscape to theme park picture, even though it is a beautiful detailed one. 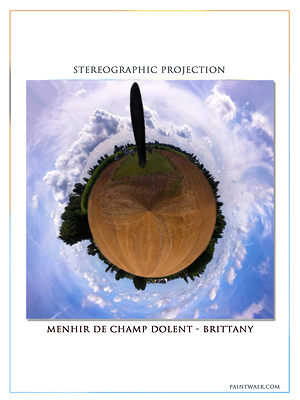 Roundscape of St Just Alignments (Cojoux Moor) Brittany. 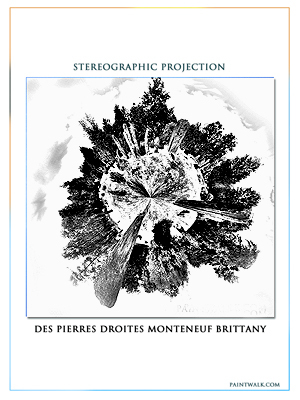 Photos, drawings and video from two of the most remarkable Neolithic sites in France. Round Scape of Anse du Hommet. Roundscape rock pools and seascape of Anse du Hommet near Maltot in Normandy. The pinks are a result of the rose granite and afternoon light. 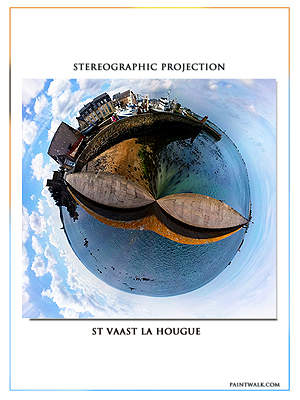 Little Planet Earth and Little Planet Water - RoundScape of The Port of St Vaast La Hougue, north Normandy Coast. What appears to be eyes is in fact an old stone quay. 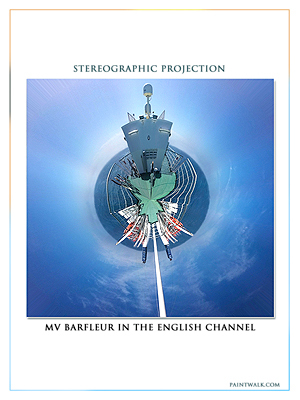 Roundscape of M.V Barfleur. This Boat is an old companion and this unusual view was made in the middle of the English Channel. 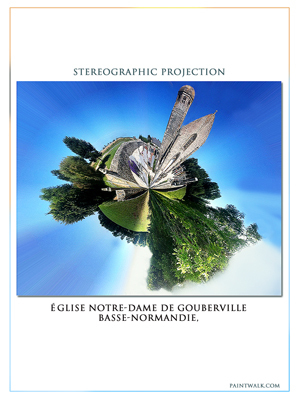 RoundScape of the Église Notre Dame de Gouberville. Often the coastal churches carry the symbolism of the sea and in some three masted sailing ships hang precariously above the aisle and altar. 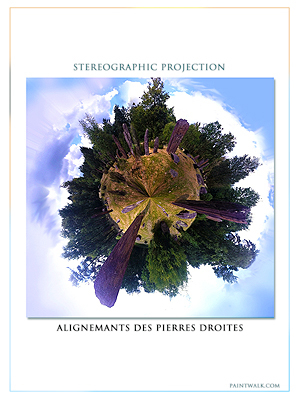 Round Scape of des Pierres Droites Standing Stone Alignments Brittany. Roundscape of des Pierres Droites Standing Stone Alignments Brittany. Recently discovered this enormous collection of megaliths are incredible. Round Scape of Hill 60 - Most Landscapes are Man Made. 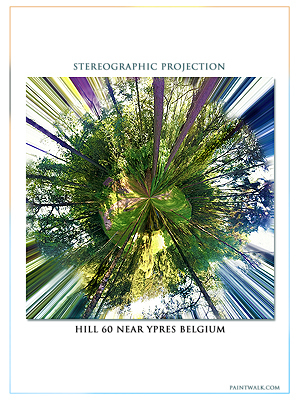 RoundScape of Hill 60 - Most Landscapes are Man Made. The story of this one is explosive. 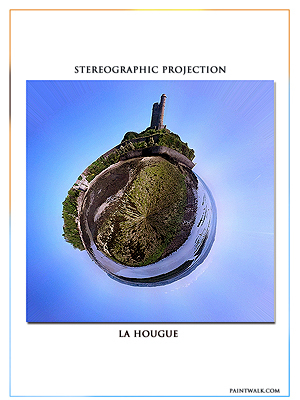 Round Scape of Little Planets la Hougue Normandy. 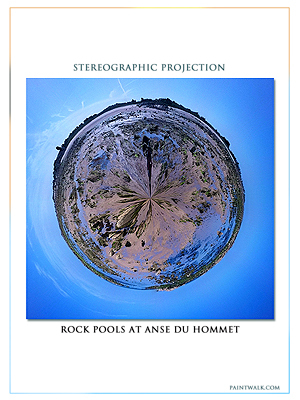 Little Planets RoundScape la Hougue Normandy. Like a giant marble the fort was built on a geological marvel that juts out into the sea. Roundscape of des Pierres Droites Standing Stone Alignments Brittany. Huge and enigmatic neolithic art gallery. 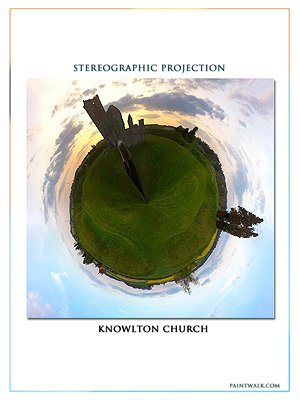 Knowlton Church Roundscape and Landscape Painting. A fantastic church set inside a neolithic henge. The cross over from the old religion to the new and a place of timeless stillness.